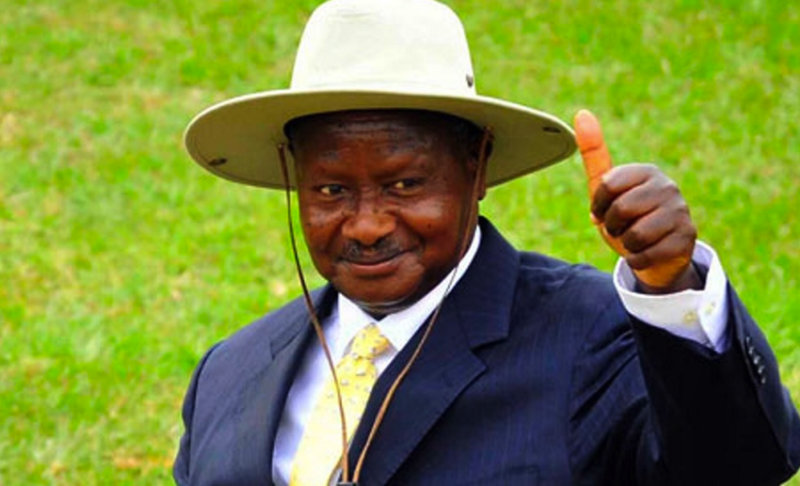 Uganda’s President Yoweri Kaguta Museveni and his comrades are supposed to be celebrating the 37th anniversary of liberating Uganda from the pangs of a dictatorial regime on February 6, 1986. But Museveni and his army are now faced with humiliating accusations of murder, illegal detention and torture of a friendly country. The Vice President of Uganda’s opposition, Democratic Party, Fred Dennis Mukasa Mbidde, said that Uganda should be celebrating and reflecting on the future of the army, but it is a shame that citizens of a sister nation are suffering under the watch of the Commander-in-chief and his army. Mbidde said yesterday that what would otherwise have been “free to enter and leave Uganda” as they please under the Provisions of the Common Market Protocol of the East African Community, cannot safely do so due to the current treatment they obtain in the hands of Uganda’s security agencies. “They have continued to suffer arbitrary arrests, held incommunicado against families and friends, tortured and some feared dead,” Mbidde, said. He added that, Uganda, a sovereign State, is signatory to many International Protocols, Agreements, Arrangements and Entente. They include the Treaty for the Establishment of the East African Community, the African Charter on Human and People’s Rights and the Vienna Convention on the Law of Treaties. Below are some of the reported Rwandans who have suffered the ill treatment. Arrested on August 5, 2018 (489days). He was tortured by CMI and held for 120 days incommunicado and later framed with charges at military court Martial. He is still detained at Makindye. He was kidnapped on March 11 in 2018 (184days) and kept in detained by CMI- Mbuya. He has been in custody for 154 days, framed with illegal possession of firearms and detained at Makindye military barracks. He also has been detained for 154days and framed with illegal possession of firearm and detained at Makindye military barracks. He is almost clocking 100 days suffering from CMI torture houses. He is about to end two months while detained at CMI torture houses as well. The trio has been detained at CMI torture houses for about 50 days. He was kidnapped two days before Christmas and dumped into a torture house at the CMI barracks. These young men will have been detained and tortured by CMI for three weeks now. The most disturbing case of these torturers is the separation of mothers from their babies, one at 3 years old. Detained at CMI, they left behind 3 children aged 9, 6 and 3 years. He added that, prisoners all civilians be released from court martial and if suspected of offences be charged in civil courts with a possibility of obtaining bail to look after their families. He also demanded for permission to visit the accused and assess their status some are feared dead. “The government of Rwanda and Uganda should set-up a joint verification committee to investigate the causes and recommend relations between the two member countries,” he said. In Mbidde’s view, Uganda has a lot to benefit from close relations of integration under common market protocol.